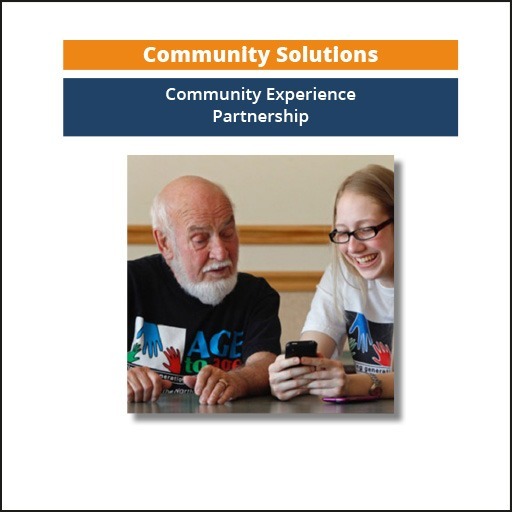 The go-to online resource for engaging experienced adults in improving their communities. 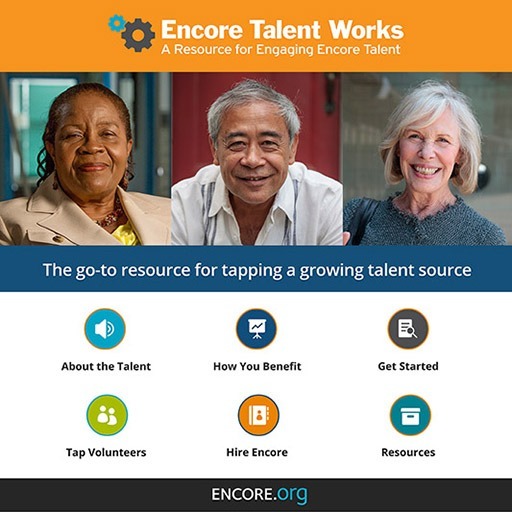 Learn how encore talent boosts organizational capacity and delivers impact. Find proven approaches to designing encore roles and recruiting encore employees, consultants and skilled volunteers. 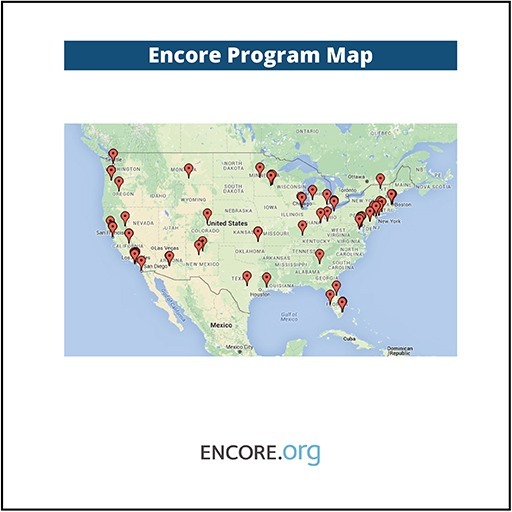 A searchable map and directory of U.S.-based encore programs. 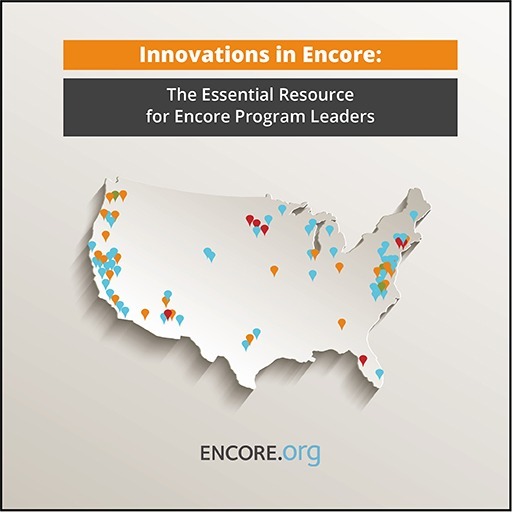 Visit the map and directory to find innovative state and local programs offering encore pathways and services. Want to add your program? Submit your request here. Examples of successful encore programs, tips for getting started and encore movement information. 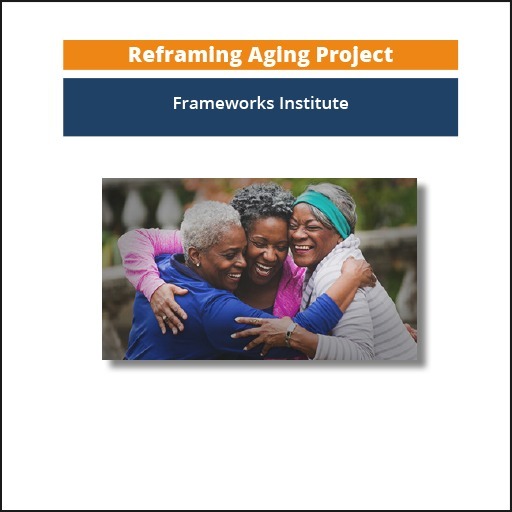 New from the Frameworks Institute, research and resources to help advocates change perceptions about aging. 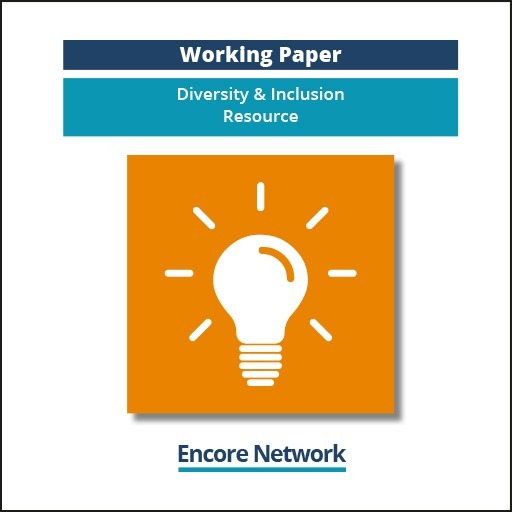 Stories, articles and resources to help encore programs connect with diverse communities. Resources from a six-year national initiative that mobilized older adults for community change. 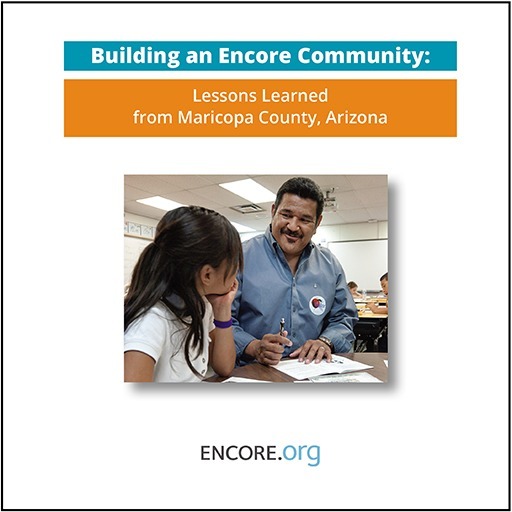 A case study, demonstrating the full spectrum of encore programs in action in Greater Phoenix, AZ. 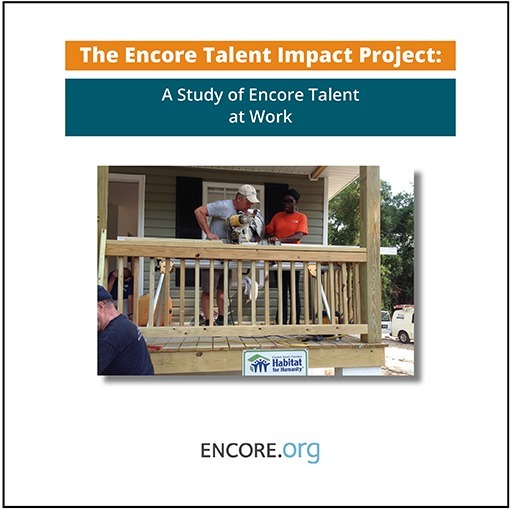 A study on the impact of people in encore roles, with data from six nonprofits that engage encore talent. Our Resource Exchange provides valuable products, information and services from Encore Network member programs. Explore this new online tool to help individuals from the private sector get to know the nonprofit sector and transition to social-purpose work. Encore seekers want good answers to the question of “What’s Next?” Two eBooks from Discovering What’s Next help people explore ideas and options to shape their futures. Boomerang Giving is a national movement of older Americans who strengthen communities by donating senior discounts. Its mobile app provides an easy way for donors to direct funds to local nonprofit campaigns.